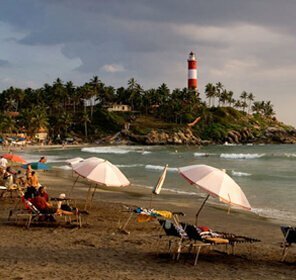 Located in the south Kerala at north end border of the district Trivandrum, Varkala beach is an ideal holiday destination in Kerala for the tourists who want a peaceful vacation. 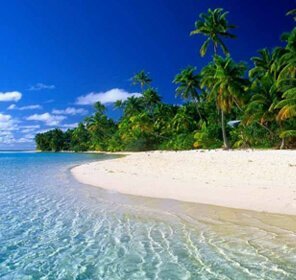 Counted as one of the top ten seasonal beaches in the world by discovery channel, this beach has a stunning beauty of landscapes, brown sand, and sea. It's a perfect spot to relax with a laidback atmosphere. Popular for beach activities like swimming and sunbathing, this beach offers a striking sunset views. 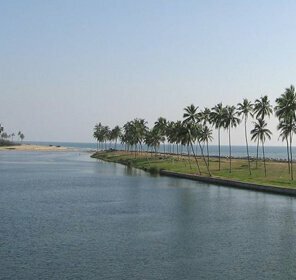 It can simply take your breath away with its long winding stretch of cliff that expands over the Arabian Sea. 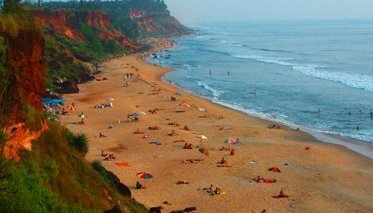 Varkala Beach is also called Papanasam beach as it is believed that taking bath here wash away all sins. 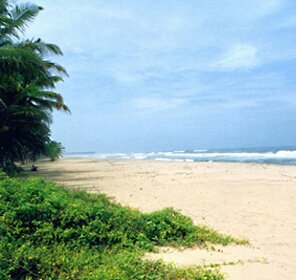 This beach is very famous for spa, mineral springs and ayurvedic centers, offering the best treatments and therapies. 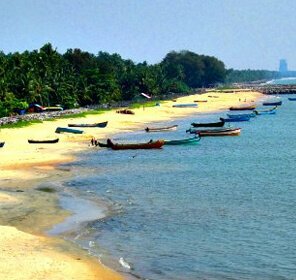 Cliff clad beaches and pretty vibrant environs give a joyous feel that attract beach lovers or honeymooners to spend holidays at this place. The edge of the cliff offers fascinating views of sand and sea. 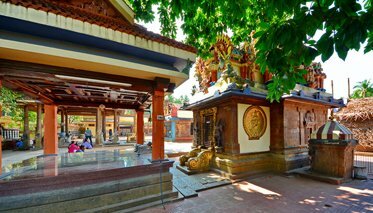 Holidaying in Varkala gives a pleasant experience as there are many attractions that flock large numbers of tourist from all over the world. Summing up, it's a wonderful destination to chill out and revitalize your senses at famous Ayurvedic massage centers available in many resorts of Varkala. 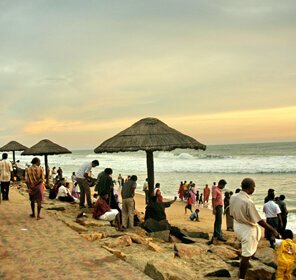 Varkala beach offers many beach activities like sightseeing, sunbathing, wind surfing, parasailing, and soaking in the beauty of this calm beach resort. It's a beautiful place for someone who wants a peaceful atmosphere all around. The warm pristine have short and quick waves that expand from 2 to 5 ft. Adventure freaks can hire surf gears on rent from the Surf and Soul school. The best time for surfing is from September to March. 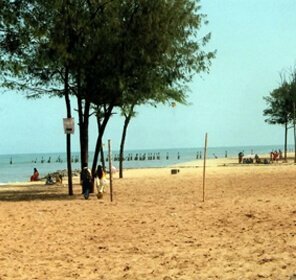 One who is interested in snorkeling may head to the Thiruvambadi beach or the Papanasham beach. Undoubtedly, enjoying the Ayurvedic and yoga treatments from the famous Yoga and Ayurveda centers give a lovely experience. 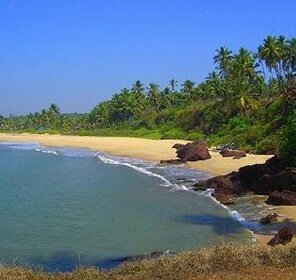 So, you can indulge in activities like Ayurvedic treatments, meditation and Yoga while holidaying at this beach. Apart from these, art/creative workshops are also offered over here. Shop 'til you drop at the eternal rows of huts running along the cliff, having everything from jewelry and to handicrafts. 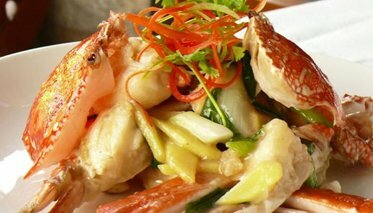 There are some popular restaurants in Varkala that offer delicious cuisines ranging from South Indian to Continental, Italian, and Chinese. Vegetarians need not have to worry as you can get vegetarian food at Jicky's Rooms, Oottupura Vegetarian Restaurant, and Hotel Suprabhatham. The restaurant in the Taj Garden Retreat also offers tasty food. Café del Mar on the other side offer lip-smacking Indian, Italian and Mexican food. If you are nearby railway station, you may head to The Varkala Park Hotel. There are some beach shacks like Dolphin Bay and Funky Art Café, where you can spend some time with your friends. 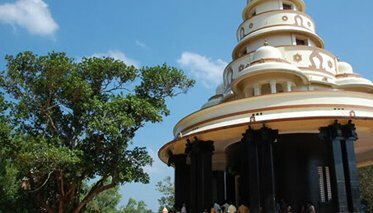 Located at the distance of 2.5 kms from Varkala, this ashram is dedicated to Sree Narayana Guru, who urged against inequity and was always in the favor of one religion, caste and one god for humanity. 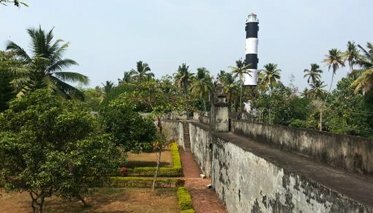 At the distance of 15 km to the south of Varkala, this place has its own history with British ruling. 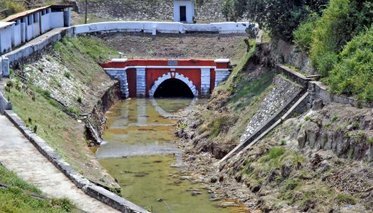 Built by the regional rulers of Attingal Palce, this tunnel unwraps to a canal which keeps going the side of Sivagiri mutt. 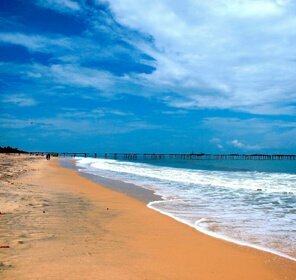 So, if you are looking for a romantic getaway with your beloved or want to take a break from your daily busy life, visit to Varkala beach of Kerala, where one is hailed to. 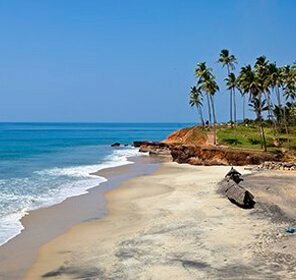 Book Varkala holiday packages online with Tour My India and explore all the attractions at the best price. 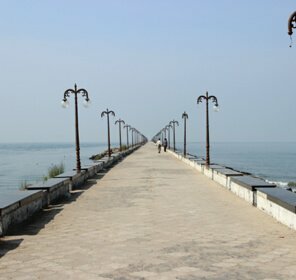 How to Reach Varkala Beach? 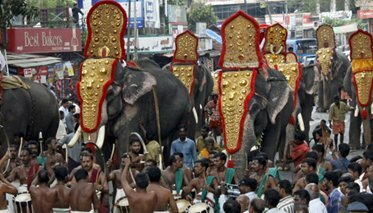 Trivandrum International Airport is the nearest airport, which is at the distance 51 Km from the destination. Varkala Railway Station is the nearest railhead that is 3 km away from Varkala. Varkala Bus Station is well connected to all major cities of India. Varkala is just 47 km away from the NH 47. 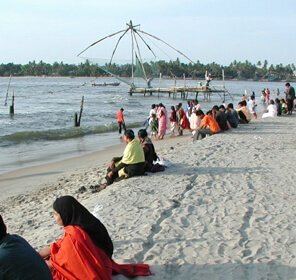 Though, this place is connected with all cities and towns, but if you wish you can avail bus from Kochi and Trivandrum to reach the destination.